Home Airports & London Transport How to Get the Best Cheap Airport Transfers to London Stansted? London Stansted Airport is a very popular airport with easily available transfers such as Trains, taxis and buses from or to London. London Stansted Airport is an international airport in Essex and is used by airlines like Ryanair, Easyjet, Germanwings, Aurigny, Flybe and many more other European Airlines. Where is the London Stansted Airport? London Stansted Airport is almost 38 mi (67 KM) away from Central London and it is London’s third major airport. This airport accommodates above 15 airline and carriers from all over Europe. What are the Cheap Airport Transfers to or from Stansted Airport? One of the Cheap Airport Transfers options is the trains. Same as Gatwick Express, the Stansted Express runs from Liverpool station towards the airport every 15 minutes. The journey takes about 50-60 minutes to reach the Stansted airport. From the Stansted airport to London also the same services are available. The first Train from Liverpool street station towards Stansted Airport departs at 3:40 am. However, if you are staying in north London the Tottenham Hale Station might be a better option for you. What if you have an early flight from London Stansted Airport? If you have an early morning flight and decide to use the trains, you have two options two to reach the Liverpool Street Station to start your journey to the airport. Night Buses: this would be another option with some difficulties. Especially if you have children or the number of luggage. If your flight is during the day or at night which gives you more time, then the option is more to find a cheap airport transports. You can use the fast underground (Tube) or normal London Red Buses to reach Liverpool Street Station. to find out for the bus number you need to go to Plan your Journey page. Coaches are available from Victoria Coach station to Stansted Airport. The coach’s routes are passing from Baker Street, Stratford and other 38 pickup point destinations. Every day they run almost 140 bus services to the Stansted airport and return. Normal cost with coaches to the Stansted airport is £16 per person. However sometimes from the airport to London, you might just pay £6, but it would be limited. If you book your ticket in advance you would be able to use the special offers and discounts. Stansted Airport has 24 hours Taxi services. 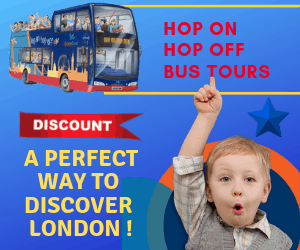 The cost is different and depends on a number of passengers and destination in London. If you contact us we can give you a flat rate for your journey and we do our best to get you the cheapest price possible for your journey. If you would like to stay in one of the hotels near Stansted Airport, please click on below like to find your hotel. Previous articleLondon Gatwick Transportation-What is The Cheapest way from Gatwick to London? Next articleTheWindsor Castle is oldest castle in the world|How to Get to Windsor Castle from London? I must say you have good quality articles here. Your website should go viral. Thank you for free information.